“A New Life” is the story of a young German couple who decide to pack up their family and head to England in search of new adventures. This downloadable ebook and audio track work together to give you an immersive language experience. 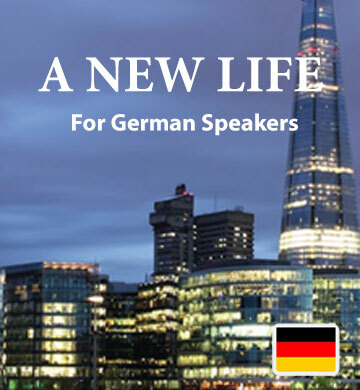 German speakers will expand their English vocabulary with each chapter as they read about the trials, tribulations, and triumphs of starting over in a foreign country. The entertaining nature of the story makes it possible for you to learn, memorise, and retain English almost unconsciously, while having fun. You’ll also get the Easilang mobile app, which will let you learn on the go. It’s perfect for travelling!